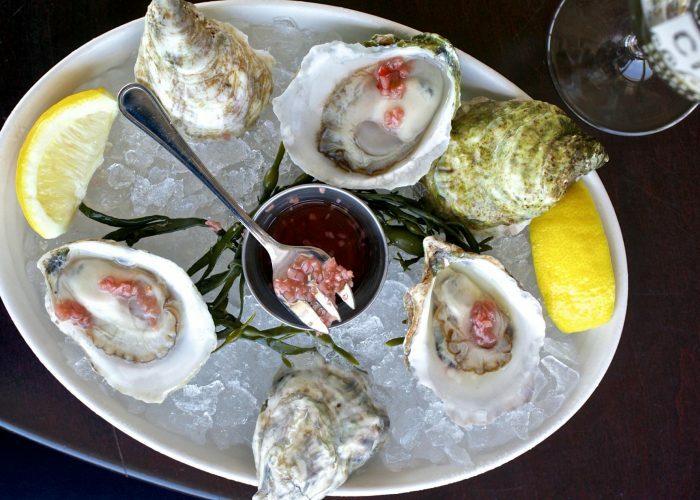 It’s easy to miss some of the best offerings on Nantucket and Martha’s Vineyard. From locally-loved restaurants to places to watch the sun set, here’s what to do on the two famous Cape Cod Islands. Martha's Vineyard: This island is only accessible by ferry or plane, though the most popular way of getting there is taking the 45-minute ferry from Woods Hole, Massachusetts. There are two main areas to stay on the island: Edgartown, located on the Southeast tip of the island, and Oak Bluffs, where most ferries arrive. You can bring your car over on the ferry if you make reservations well in advance, but there are plenty of places to rent bikes or cars, and the island has a public bus system. 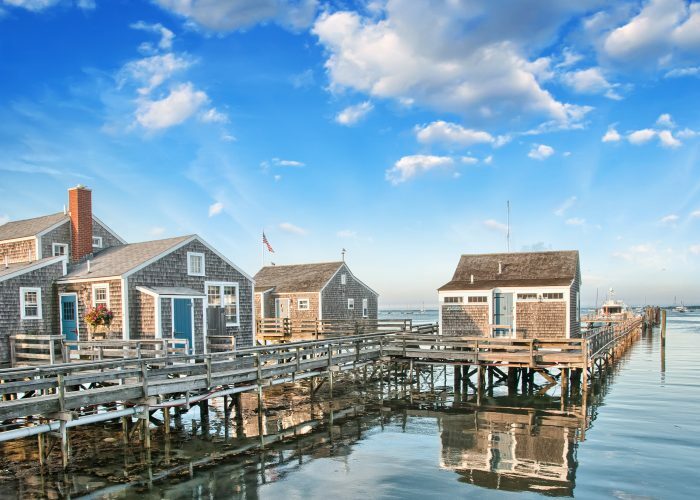 Nantucket: You'll also need to book ferry or plane ticket to access Nantucket (fun fact: the island is commonly referred to as ACK, which is its airport code). The most popular way to get to the island is to take the hour long "fast ferry" from Hyannis, Massachusetts. Ferries arrive in the town center, which is also the main area visitors stay. You can also stay in the village of Siasconset (Sconset) on the eastern end of the island, which has a few hotels, restaurants, and stores. As with Martha's Vineyard, you can bring your car on the ferry (reservations needed), there are plenty of places to rent bikes or cars, and there's a public bus system. Martha's Vineyard: Menemsha Beach in Chilmark on the "other side" of the island is great for a day trip; Katama Beach or South Beach is my favorite as it has drive-on access and is great for all ages; and family-friendly Joseph Sylvia State Beach in Oak Bluffs is the easiest to get to via bike if you're staying in Oak Bluffs. Other good spots include Lighthouse Beach in Edgartown and Lobsterville Beach (formerly Gay Head) in Aquinnah. Nantucket: Jetties Beach is protected by Nantucket Sound and is great for families; Cisco Beach is popular for surfers because of its large waves; Nobadeer Beach has drive-on access and is popular among college kids; Surfside Beach is arguably the most popular and crowded on the island; Siasconset Beach offers a more mellow scene due to its location farther from town; and Madaket Beach has a heavy surf but is a great place to go if you want to avoid the tourist crowds. 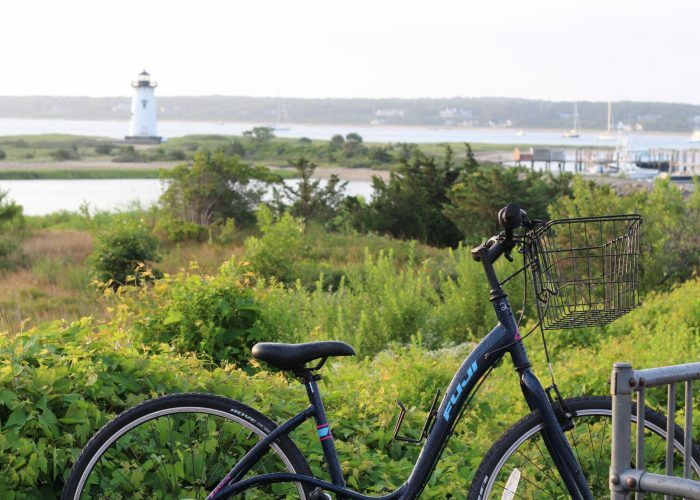 Martha's Vineyard: Anderson's Bike Rentals offers one of the best deals on the island. Located right off the Oak Bluffs ferry dock, Anderson's offers a three-day special for two bike rentals for only $95. There are more than 44 miles of bike trails on Martha's Vineyard, including the picturesque Oak Bluffs to Edgartown path. Nantucket: Young's Bicycle Shop is located right by the ferry docks and offers bike rentals for $100 for the week. There are more than 30 miles of bike paths on the island and you can bike to almost any of the popular beaches from town; check out the routes here. Martha's Vineyard: Garde East in Vineyard Haven is higher end, but one of the best and newest places on the island; Atlantic in Edgartown is a local favorite; Larsen's Fish Market in Chilmark is great for takeout seafood; and Skinny's Fat Sandwiches are great for packing for the beach, located in both Oak Bluffs and Edgartown. And, don't miss a late-night donut at Back Door Donuts in Oak Bluffs—they're open till 12:58 a.m.
Nantucket: Cru, located right on the marina, is consistently a great choice for drinks and dinner; Millie's, located on Madakat Beach, has awesome tacos and other quick bites; Provisions sandwich shop is a must-stop before any beach trip; and The Nautilus, which recently opened, serves Asian fusion dishes. 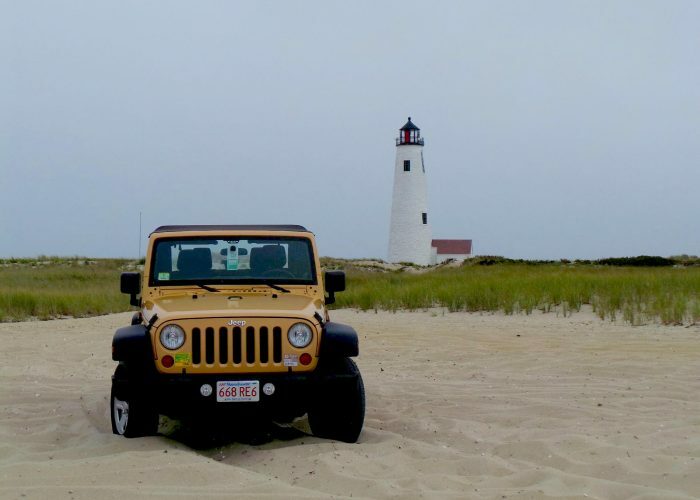 Martha's Vineyard: Norton Point in Edgartown is the spot for off-roading on the Vineyard. It has 1.8 miles of off-roading trails, and used to connect the main island to Chappaquiddick until a major storm broke the barrier beach in 2007. You can also off-road at Cape Poge/Wasque in Chappy, but only Norton Point offers day passes. Note that you need a proper vehicle and permit for off-roading. If you're renting a Jeep or other 4x4 vehicle, they will most likely have the necessary permits. Nantucket: You'll find tons of inland and shoreline oversand vehicle routes at Coskata-Coatue Wildlife Refuge, which offers a day-pass option. Make sure you make it to Great Point Lighthouse, which is found here. Also note that you will need a proper vehicle and permit for off-roading on Nantucket. And like the Vineyard, most 4x4 rental vehicles will have permits. 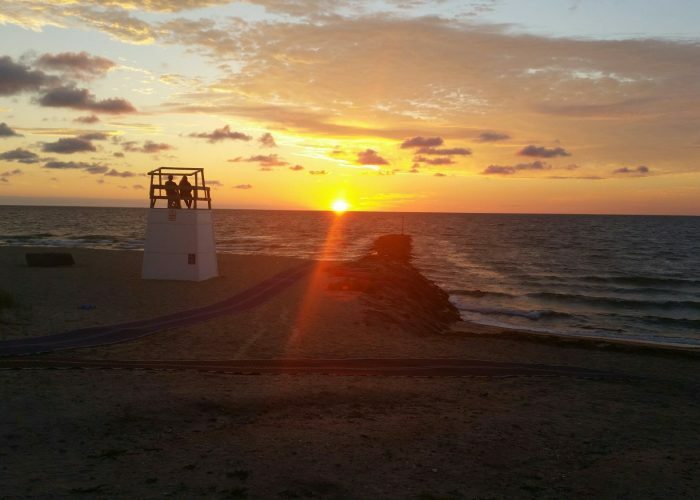 Martha's Vineyard: Menemsha Beach is the best place on Martha's Vineyard to watch the sunset. Pack a picnic dinner and get there in the late afternoon to enjoy the last of the sun's rays. Bright and colorful pink, blue, and orange skies are common here and create stunning silhouettes of boats bobbing in the water. Nantucket: Madaket Beach is one of the best places on Nantucket to catch the sunset, with Instagram-worthy shots almost guaranteed. Watch it from Millie's restaurant, the Ames Avenue bridge, or Warren's Landing. Galley Beach Bar on Galley Beach also rivals Millie's, offering just as picture-worthy views. Martha's Vineyard: Norton Point in Edgartown is a great spot for shellfishing. You can also shellfish at Tashmoo Pond (at the foot of Lake Street), at the town pier in Vineyard Haven Harbor, and Lagoon Pond. 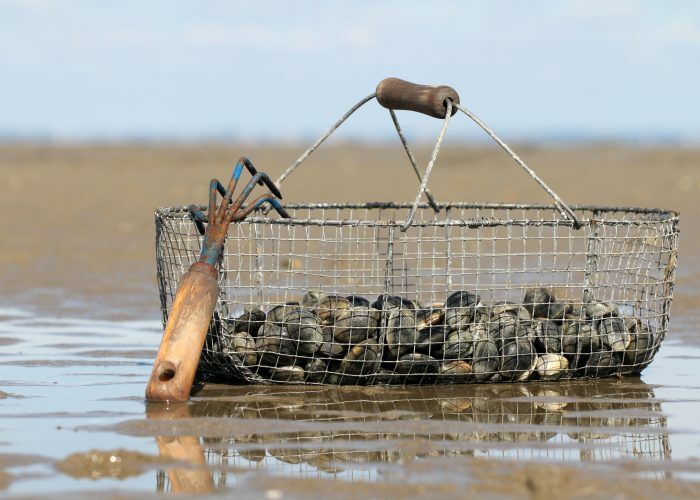 You need a permit to shellfish. Nantucket: Any of Nantucket's harborside beaches at low tide make for good shellfishing spots, but 40th Pole Beach in particular is a choice spot. A permit is also required to shellfish. Martha's Vineyard: There isn't a crazy nightlife scene on the Vineyard, but you'll find dancing at The Seafood Shanty in Edgartown (just be wary of the younger crowd). The Wharf and The Port Hunter, also in Edgartown, are other good options. 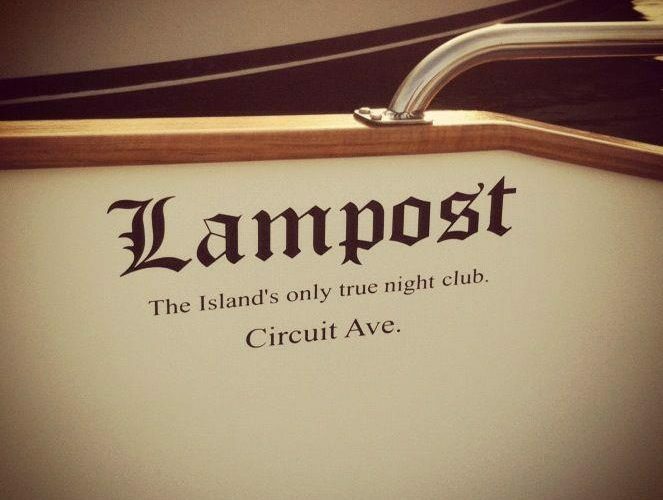 In Oak Bluffs, check out The Lamp Post or The Ritz if you're looking for some dancing there. Nantucket: There's nightlife aplenty on Nantucket, with most restaurants in town offering music, dancing, and drinks into the night. Check out Straight Wharf, The Gazebo, and The Nautilus after dinner, or opt for live music at the well-known Chicken Box, located just outside of the historic town center. 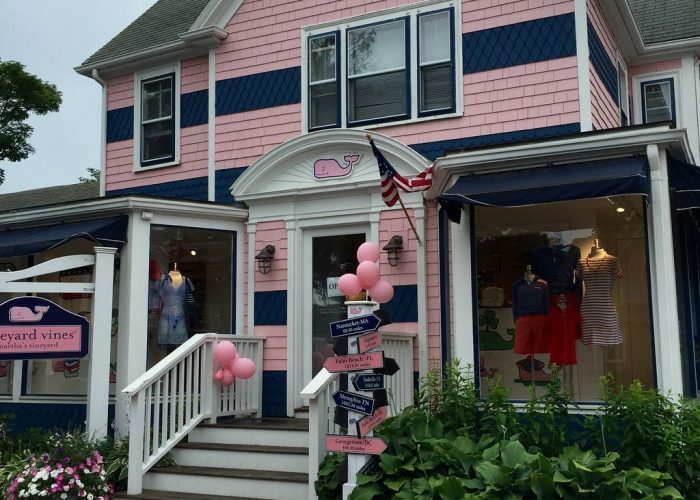 Martha's Vineyard: Shopping is aplenty in both the main downtown area of Edgartown and Oak Bluffs. You can spend hours wandering the streets and find anything from expensive boutiques to hidden garden galleries. Nantucket: The main town is the only real shopping area on the island, but you can spend hours shopping in the gift shops, boutiques, specialty stores, and galleries. Here is a full list of stores. Martha's Vineyard: For kayaking and paddle boarding, check out Island Spirit Kayak, located on State Beach close to the Edgartown/Oak Bluffs town line. The company offers hourly rentals and a variety of tours, like a sunset/moonlight kayak. Enjoy the calm waters of the barrier beach between Sengekontacket Pond and Nantucket Sound. The wetlands at Cape Pogue on Chappy Island are also a great place to explore via kayak or paddle board. 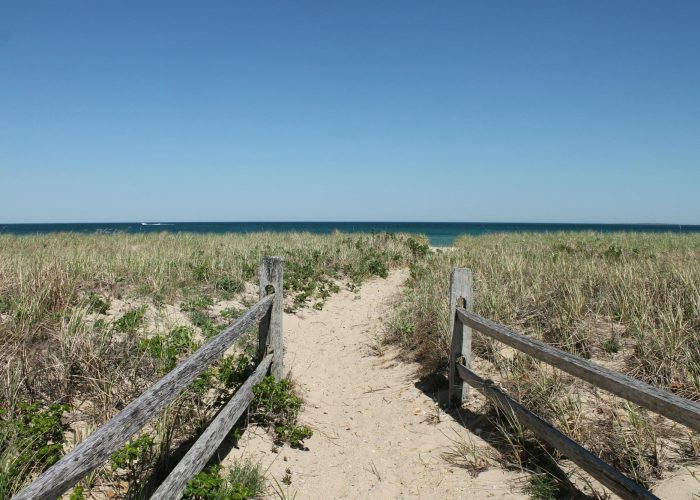 And if surfing is your thing, you will find waves at South Beach and West Tisbury Long Point, which are both public beaches, and Lucy Vincent Beach, but it only has parking for residents. Nantucket: Rent a kayak or paddle board through Sea Nantucket Paddle Sports, which will deliver your board or boat of choice to a vacation rental, various ponds, and the Harbor. The company also offers guides for groups paddling in the Salt Marsh Creeks (my personal favorite spot), to Coatue Point, and along the harbor shoreline. 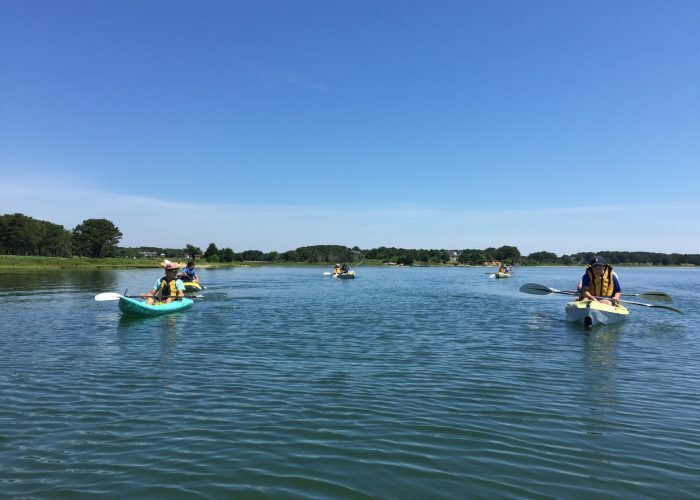 Also check out Paddle Nantucket's various paddle board classes and pond tours. For surfing, the island has its own surf school, Nantucket Island Surf School on Cisco Beach, if you want to learn how to catch some waves. Martha's Vineyard: The Vineyard has two breweries, Bad Martha in Edgartown and Offshore Ale Co. in Oak Bluffs. Bad Martha Farmer's Brewery has live music on the weekend, outdoor games, a tasting room, and small plate offerings on the Donaroma's Nursery Property. Off Shore Ale Co. offers brewery tours, a full daily food menu, and serves pizza by the slice. 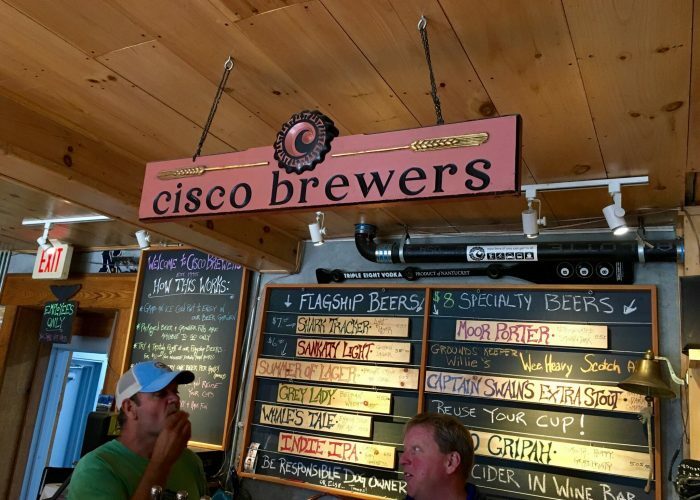 Nantucket: Cisco Brewers, which also consists of the Triple Eight Distillery and Nantucket Vineyard, makes for a great place to spend a day. The complex offers brewery tours, live music, a variety of food truck options, and complementary shuttle service between the brewery and downtown.